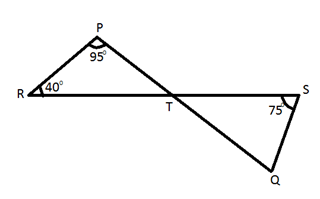 Theorem 3 : Angle sum property of a triangle. 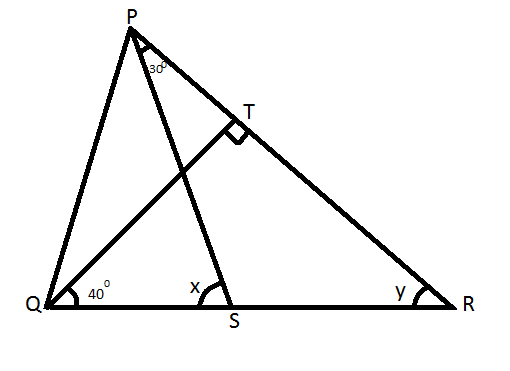 The sum of the angles of a triangle is 1800.
formed is equal to the sum of two interior opposite angles. 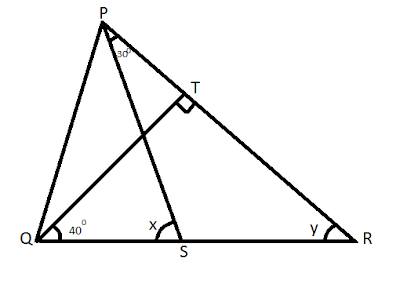 Let us do some questions based on these theorems. 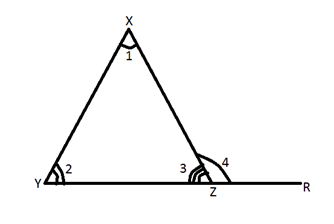 Ques. - In the figure if QT is perpendicular PR , Angle TQR = 400 and Angle SPR =300, find x and y .
Ques. - In the figure below XY II MN , Angle YXZ =350 and angle ZMN =530, find angle MZN. 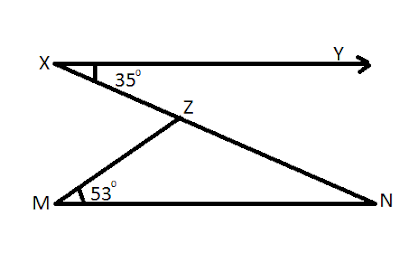 We know that XY is parallel to MN. 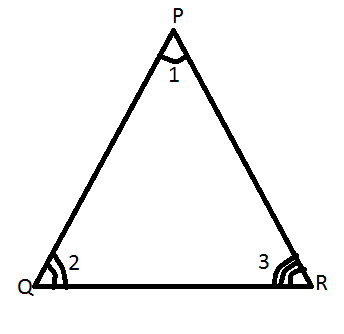 Ques - In the figure given below If PQ and RS intersect at T, such that angle PRT =400, angle RPT=950 and angle TSQ=750, find SQT. Ques. 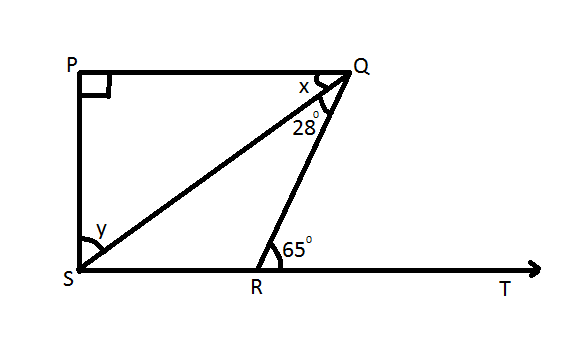 In the figure if PQ is perpendicular to PS, PQ II SR Angle SQR =280 and Angle QRT =650, then find the values of x and y .